Here’s a fun-looking new movie – Knights of Badassdom. Some modern day live roleplayers accidentally summon up a female demon into the USA and then have to kill her. Think the Big Bang Theory crossed with the blood of the Walking Dead TV series. And as the cherry on top? Summer Glau plays one of the main gamers. 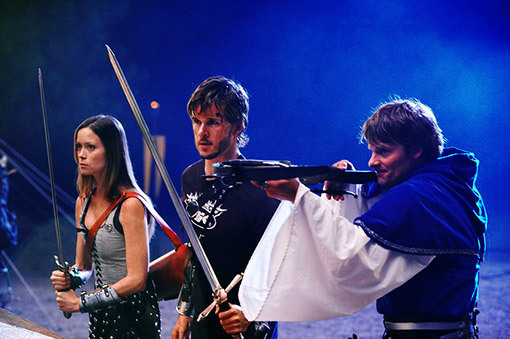 Summer Glau as a LARPer? Now that’s what I call fantasy.